Just three weeks ago, the New York Times published an article titled, “Calcium Doesn’t Improve Bone Density, Analysis Finds”. This surprising claim was made by Nicholas Bakalar of the New York Times. He based his claim on two articles published by the British Medical Journal (BMJ) just this summer. The results from articles review made a bold claim that completely defies common household knowledge. Aside from the fact that the two BMJ articles came to the same conclusion, the two were eerily related. Both were published on the same day (September 29, 2015) and both were associated with the University of Auckland and the University of Otago in New Zealand. The human body surely requires at least some calcium, but currently, there is no reliable method to determine an optimal amount of daily calcium intake based on criteria such as age, gender, height, and weight.4 Even in a study where the mean calcium intake was well above the daily recommended amount (1,200mg/day), hip fractures were still evident.4 This seemingly counterintuitive finding begs that further studies explain why meeting or even exceeding a healthy limit will produce a high incidence of hip fractures. In light of these recent scientific findings, one shouldn’t rely on calcium supplements to prevent BMD complications. Furthermore, patients who currently have osteoporosis or a high risk of fracture should never replace prescription medication with calcium supplementation. 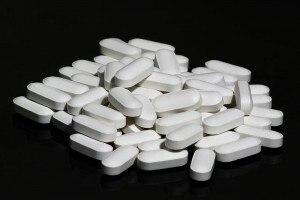 Until further evidence surfaces, people of all ages hoping to prevent later development of osteoporosis should continue to strive for a balanced diet containing adequate protein, fruits, vegetables, calcium, and vitamin D.8 Would you still consider taking a calcium supplement for the insignificant increase in bone strength it provides? National Osteoporosis Foundation. Clinician’s guide to prevention and treatment of osteoporosis. Washington, DC: National Osteoporosis Foundation, 2010;1–56. Bolland MJ, Leung W, Tai V, et al. Calcium intake and risk of fracture: Systematic review.BMJ. 2015;351. doi: 10.1136/bmj.h4580. Tai V, Leung W, Grey A, Reid IR, Bolland MJ. Calcium intake and bone mineral density: Systematic review and meta-analysis.BMJ. 2015;351. doi: 10.1136/bmj.h4183. Cho K, Cederholm T, Lökk J. Calcium intake in elderly patients with hip fractures.Food & Nutrition Research. 2008;52:1-5. Cosman F, de Beur ,S.J., LeBoff MS, et al. Clinician’s guide to prevention and treatment of osteoporosis.Osteoporos Int. 2014;25(10):2359-2381. Kärkkäinen M, Tuppurainen M, Salovaara K, et al. Effect of calcium and vitamin D supplementation on bone mineral density in women aged 65-71 years: A 3-year randomized population-based trial (OSTPRE-FPS).Osteoporos Int. 2010;21(12):2047-2055. Kling, Juliana M.Clarke, Bart L.Sandhu,Nicole P. Osteoporosis prevention, screening, and treatment: A review.Journal of Women’s Health (15409996). 2014;23(7):563-572. Nieves JW. Skeletal effects of nutrients and nutraceuticals, beyond calcium and vitamin D.Osteoporos Int. 2013;24(3):771-786. Rajatanavin R, Chailurkit L, Saetung S, Thakkinstian A, Nimitphong H. The efficacy of calcium supplementation alone in elderly thai women over a 2-year period: A randomized controlled trial.Osteoporosis Int. 2013;24(11):2871.